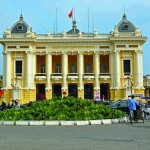 This exceptional itinerary features two nights in Vietnam’s capital city of Hanoi, a seven-night cruise from Haiphong to Saigon aboard the newly launched, Five-Star Le Lapérouse and three nights in Siem Reap to experience the magnificent, jungle-fringed temples of Cambodia. Featuring four UNESCO World Heritage sites—Ha Long Bay, Hué, Hôi An and Angkor Wat. Seven-night cruise aboard the new, Five‑Star expedition ship Le Lapérouse, launched in 2018, accessing ports unavailable to larger vessels. 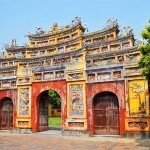 Two nights in Hanoi, Vietnam’s resilient capital city. 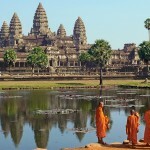 Three nights in Siem Reap for the magnificent temples of Angkor. 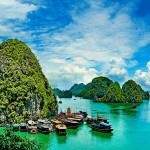 Visit four UNESCO World Heritage sites—Ha Long Bay, Hué and Hôi An, Vietnam; and Angkor Wat, Cambodia. Day 15: Siem Reap/Depart for the U.S./Cross the International Date Line/Arrive in the U.S.
Angkor Wat is a temple complex in Cambodia and one of the largest religious monuments in the world.